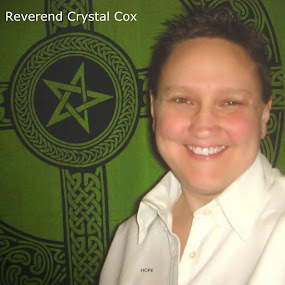 Universal Church of Light, Head Pastor Director, also known as Bringing Back Goddess Church. ReverendCrystalCox@Gmail.com . Quantum Energy Healing. Bio-Energy Healing. Spiritual Advisor. Energy Healer. Timeline Change Consultant. Ascension Guide. Mandela Effect Expert. 5D Support and Teachings. Internet Research and PR services. Energy Healing and Spiritual Readings Services. Quantum Healing Guidance. Professional Psychic Services. Our Light level took a jump this week as the May shift began. Gateway passages and unified Grid focus are consistent now, however unified focus during May 9 -11, and the very amplified passage of May 19-21 is requested. Creative energies return to us now, purified, renewed and ready to manifest the New. Use this Light, it aligns you with the Christed timelines. For clarity, here is a basic outline of Timeline dynamics for a planetary consciousness. While possibilities are infinite for an individual experience on a planet, we still work within the parameters of the Primary timelines for our creations and experiences here. Those parameters change as the planet raises in vibration, un-veiling grander opportunities already set in place. Future aspects along the same timeline leave surprises and revelations for us to discover. Timelines reflect the same structure as our torus fields, nested within each other like the planetary torus fields, Solar system, Galaxy, and Universes. See the Torus Fields video for clarity. Timelines can look like spirals or the loops of a torus field light strand. When I received the 2017 Gateways back in December, the timeline split appeared like DNA spirals splitting apart from each other. A fine representation of how our DNA enables our ability to experience multiple dimensions and timelines simultaneously. Primary planetary timelines are interdimensional; they transverse past, present, and future dimensional bandwidths. The overarching intention of a planetary timeline – such as the return of Christ consciousness – may span millions of years in multiple densities. Even if the planet drops in vibration, the primary timelines remain as a possibility. Primary Christed Ascension timelines are now amplifying, gaining strength due to Lightworker activities, Gridworkers, Gatekeepers, the Solar and Cosmic stargate openings, and benevolent Higher realm involvement in the Universal rewrite. By living in the present and embodying the future self – the Higher Self, Christed Self, Galactic Self, etc. (depending on your Soul’s intention) – you resonate with a Primary timeline which traverses dimensions. These higher timelines gain strength as the photonic rays activate remembering of the Ascension process. True HUman DNA is stimulated in prepared bodies. Structures within the planet, set in place by Starseeds of the past, are awakened by Starseeds of the Now (often the same beings utilizing the Divine HUman genome.) The higher reality is felt and witnessed by the High Vibe Tribe; those who witness and interact with the higher dimensions. Primary Timelines offer a pure experience of Ascension, and the pure intent of its Creators. They are organic timelines which traverse time-space constructs (toroidal fields). They are also interconnected to the path of other planets and galaxies, such as with our Solar system, neighboring star systems, and Andromeda. Secondary timelines serve the creative aspect of the collective experience, presenting several possibilities for how the Primary timelines may play out. They operate on vibrational bandwidths, like the Primary timelines, however they are more abundant. Photonic frequencies create organic Divine order, which makes the higher vibrational experience of Ascension more accessible during the Shift in consciousness. During these Ascension windows, we are able to raise our vibration and align ourselves with a Divine experience of Self and creation. We create a vibrational match with a higher bandwidth version of Gaia (New Earth), and the higher trajectory of the future, or Primary timeline, by merging with our Higher Self through embodiment. You may remember my experience of running into myself a few years ago. The possibility of Ascension, created in the future via the higher timeline which traverses multiple dimensions, allows the lower self to access a higher trajectory when engaging with the Ascension process. We jump timelines, resonating with a higher experience, via the Gateway of the Heart center, Divine Service, consistent alignment and by clearing our lower timeline experiences (karmic closure). We have multiple secondary timelines complimenting our transition to 5D. This merciful phase allowed the collective to awaken and choose Love, Peace and unity consciousness over the past five years. For those matching the vibration of the Primary timelines, you have been experiencing the dimensional bleed-through of the higher version of Gaia already. That experience will overwhelm your lower reality as you release attachments of the old self template and embody the New Template of the Divine Self. Pay attention to the Gateways over the next few months, they hold grand opportunities for leveling up. The major timeline split occurs between Primary and Secondary levels. When Gatekeepers recommend acceleration, it refers to vibrational acceleration. Speed, or vibrating faster, brings purification by utilizing Zero-Point dynamics. Acceleration brightens and lifts the collective experience to align with the higher future trajectory, which is less dense, less influenced by time dynamics. It feels fluid, like the pure liquid light sensation of the Christed experience. Tertiary timelines are the ones dropping away right now, since the massive influx of the Equinox passage took out all energetic support for synthetic timelines and lesser trajectories. Tertiary timelines are fueled by HUman fear, repeating the same behaviors, emotions and activities of the past (aided by looping programs and corrupted DNA sequences). When we collectively awaken and actively choose a higher vibrational Primary timeline experience, Secondary timelines are shifted to compliment that collective reality, and tertiary timelines begin to dissolve. Gatekeepers and Gridworkers are able to remove these lower experiences, because we are unified with our Higher levels in acting in accordance with Cosmic Law and Divine Will. Gatekeepers, Gridworkers and Lightworkers in active Service to Source aim to eliminate all which interferes with the organic Ascension experience by September, with consistent focus during the Gateways of May, June, July and the powerful Gateway of the August Solar eclipse (more on that soon). This is a major year, Beloveds. Stay diligent. The behind-the-scenes activity has been busy. You may have noticed lightship activity increase a few weeks ago. Several beings were escorted off planet; either to be relocated or delivered to realms where they can no longer interfere with the Ascension of this planetary consciousness. Obviously we cannot remove all negative beings at this juncture, as some serve HUmanity’s self-empowerment journey. We can remove the programs and Ascension interference, however. Remember things are not always as they seem, all is done with patience and Divine neutrality. It is not our task to judge these beings or programs, rather we utilize the power of Source-in-Carnate to bind away all of that interference from this planetary consciousness, HUmanity, kingdoms and elementals. This is done to assist at the Secondary timeline level, where most Lightworkers are resonating, to provide an organic experience of the current Light level. It is an act of Divine Will and must be commanded with that vibration, with a pure heart. A man wrote last week that he participated in the Unity Meditations and really felt like part of the Light Tribe. Please note: Light Tribe and High-Vibe Tribe are terms I created a few years ago to identify the collective resonating with these messages. I create a light-encoded container to hold the pure intent of these transmissions, from my greeting of Blessings Beloved Light Tribe to my signature, In Love, Light and Service, Sandra. I encode them to preserve the Divine intent of my service, since these articles are picked up by other websites (I don’t submit content to anyone). During my activation in 1999, the messages guided me to find my Tribe. In my Mastery, I learned to magnetize Soul groups and Star family. Now we unify all beings of integrity devoted to peace, love, harmony and the Ascension as the Light Tribe. All that is required is participation, and that is part of the Gatekeeper’s credo: Unify and empower all beings pursuing unconditional Love, Christ Consciousness and the Ascension. Primary Organic Timelines can be amplified – given more light – through our words, thoughts and deeds. As the timeline split progresses, the waiting game loses its grip on Lightworkers. We align ourselves with the New Earth/5D/Ascension timeline via a wireless unified transmission in the Unity meditations. Spiritual power is built through consistent practice, and the Global Unity Meditations have created a field of strength, healing and empowerment which strengthens the Ascending Human heart grid each week. When you join this field of collective intent, you accelerate the Ascension. It is easy, feels wonderful, and is open to everyone. Join us during these three 30-minute windows each SUNday: 8:11am Pacific Time, 11:11 am PT, and 5:11pm PT or meditate anytime on SUNday to feel the effects and add your energy to this collective intention of service. Connect with the HUman Heart Grid, Gaia’s crystalline core, the Crystalline Grid, the New Grid systems, Solaris (the SUN), Great Central Sun, and Source. Meditate in stillness, focus on Pure Source embodiment and Global Peace, or use the guided Christ Light Activation meditation for expansion (free on youtube or mp3 via the download link below). This activity is training us how to connect ORGANICALLY as ONE consciousness, without the need for grounded technology. This prepares us for larger global missions of Unified Service. Thousands are participating; please share with your groups, gatherings and friends of Light. The Higher Realms are able to thread higher frequencies through this activity, and the sensation is beautiful. Join Us! Quantum Energy Healing. Empower the ONE. Bio-Energy Healing. PsychoKinesis Healing. Consciousness Consultant. Clairvoyant, Spiritual Advisor, Alternative Medicine Consultant, Spiritual Counselor, Energy Healer, Lightworker, Frequency Keeper. Timeline Coach, Consciousness Coach, Second Sight, Quantum Healer, Mandela Effect Counseling, Intuitive Readings and Healing, Alternative Medicine Consultant, Real Estate Consulting - your Sacred Space. Quantum Leap and Timeline Jumping Coaching.